"The tradition of our relationship is very ancient, as our two cultures can be traced back to one or two thousand years ago," Conte said, noting that Xi will be the first Chinese president to visit Italy in a decade. "Italy believes our relationship is already very good, and the prospect of collaboration will be further boosted" thanks to the BRI, Conte said. "(Italian) President Sergio Mattarella was in China in 2017, and I would like to remind you that next year, in 2020, we will celebrate the 50th anniversary of our diplomatic relations," he added. He said the visit and the signing of the Memorandum of Understanding (MoU) on the BRI are part of a framework of ties "that is very solid already." During his visit, Xi will exchange views with Mattarella, Conte, and other senior political leaders in Italy on the prospect of deepening bilateral ties. Representatives of the two countries are expected to sign a series of agreements in various sectors. Much anticipation is focused on the signing of the MoU on the BRI cooperation. If confirmed, Italy would be the first country in the Group of Seven (G7) to ink such a document. "I think the increasing collaboration between Italy and China will first and foremost benefit the two countries," Conte declared. "Third countries will also benefit from it, because the strengthened (Sino-Italian) cooperation would allow us to face global challenges together," he said. 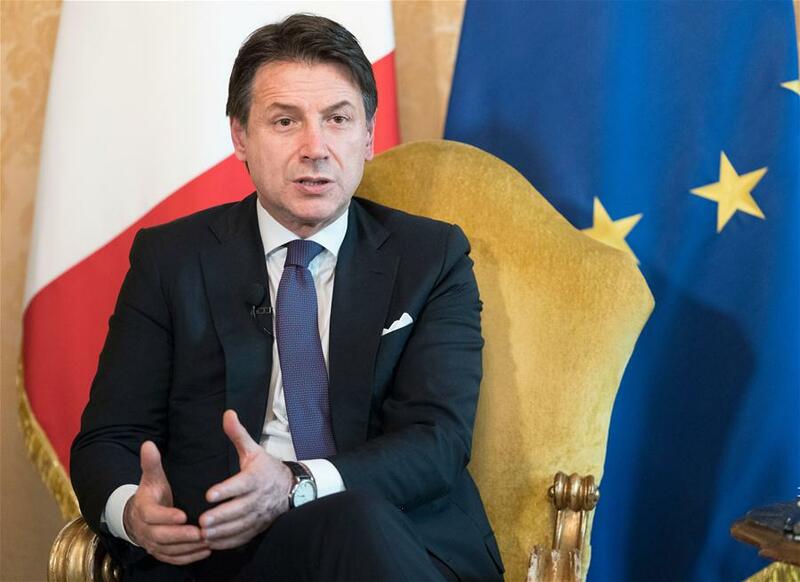 Conte added that Italy "is always in favor of dialogue, because the global challenges awaiting us are so insidious that facing them on our own -- outside an effective multilateralism -- is not possible." The trade and overall economic exchanges between Italy and China are already intense, and would possibly grow further in a perspective of mutual interest. "In my opinion, we can still improve on this, because obviously China is a massive economy with a huge potential, including for Italian companies," he said. Conte also mentioned several sectors in which the two countries could work more closely together, including tourism, agriculture, sustainable urbanization, aviation, transportation, infrastructure and technology innovation. The Chinese leader's upcoming visit would boost the bilateral ties to fulfill all the potential, according to the Italian head of government. "I think Xi's visit will play a very important role, giving a greater impulse to our relations," Conte said. "We await him with great friendship and enthusiasm," he added.